Is God Preparing You for a Season of Growth? I’m going to be honest with you. I have never considered myself one to be good at gardening or claim the title “crazy plant lady,” yet here I am walking out into my yard to prune my plants. In the desire to make our home feel more welcoming, not only on the inside but the outside too, landscaping was inevitable. I had no experience with it. 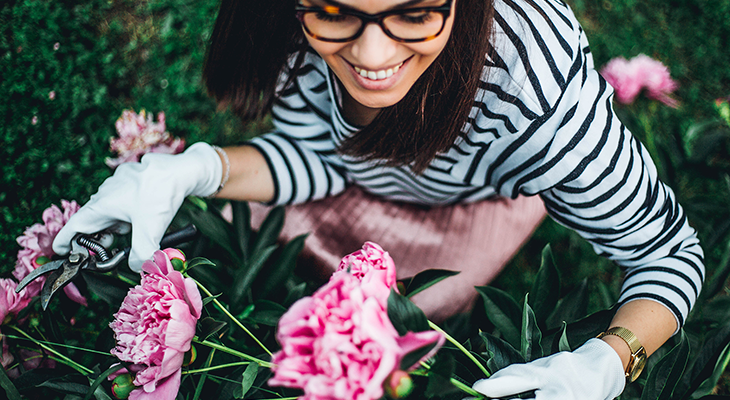 As a kid I did simple yard work chores, and so on every trip to the greenhouse, I would say to the salesperson, “I need something easy and maintenance free. I have no idea what I’m doing.” They would smile politely and give me suggestions, and I hesitantly leaped into the world of plants. Honestly, the first year my goal was just to keep these things alive. I think I felt more pressure to take care of my new plants than caring for our firstborn fresh from the hospital. Convinced I was no good at this, I watered the plants daily to prevent them from dying. They stayed the same size that first year—I was told this was normal because they had to acclimate to the soil. In fear of disrupting this process, I pretty much just let them be. I was completely naive to the pruning process back then, and honestly it scared me more than anything. How can you cut something living and not expect it to die? I thought you only needed to prune when there was dead stuff on your plants. What I didn’t realize was that this is a vital process to ensure their growth. Finally, with no growth after the second year, I got enough courage to take out my gardening sheers. Instantly I’m having flashbacks of that time in fourth grade when I cut my bangs too short and had to wear headbands until my hair grew back. I took a deep breath and whispered to myself the same phrase I had said way back then, “Just a trim, just a trim, not too much.” Fearfully, I began to trim back all of my plants and hoped they wouldn’t die. I never realized how much growth can come when we choose to prune back branches and—personally—areas in our own lives. I remember in my early twenties experiencing this “pruning” process for the first time in ministry. It left me feeling devastated and in shock because I was producing “good fruit” as I questioned God’s pruning process. I felt like He had forgotten me, and I entered into what felt like a season of winter spiritually. I’ll never forget the first time I went out to cut blooms the following spring (after I had courageously pruned the previous fall). It was like the plants had exploded overnight. As I began to clip new flowers, I saw the dead ends that had been pruned. I noticed that each branch I pruned bore three new stems that spring. Where one flower had blossomed before, three now bloomed.